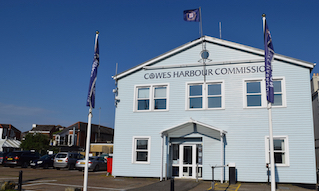 Isle of Wight residents as well as sailors and boaters from the mainland choose Cowes Harbour Shepards Marina as their annual berthing option because they value the unique combination of facilities, location, outstanding services, and welcoming atmosphere. Much of this is down to the fact that Shepards Marina encourages a strong community spirit within the marina. We have 40 annual berths here at Shepards Marina and operate a waiting list for these berths; to join the list please complete and send the Berthing Enquiry form. 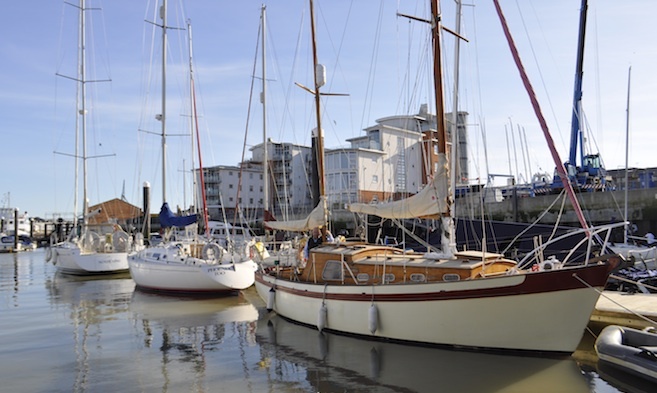 Berths do become available throughout the year, so please get in touch to see what is available. 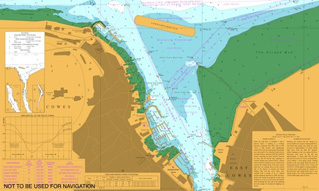 View the tariffs for annual berths at Shepards Marina. 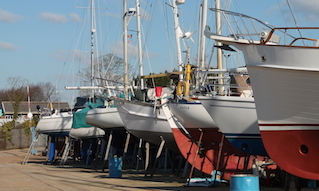 Shepards Marina also offers a range of Boat Maintenance Services including anti-fouling, polishing, cleaning, anode changing, prop polishing, and for anything that we cannot take care of in-house, we have a few selected sub-contractors that we are happy to involve in the care of your boat. These services are very competitively priced to suit your requirements. With so many years on the water, we've learned to change with the times, embracing the latest technology and techniques for boat repairs, but keeping some things the same - like pride in our work and a commitment to our customers. 10% discount from Cowes Marine Electrical, Cowes. 10% discount from The Basque Kitchen, Cowes. 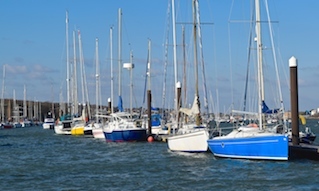 You are more than welcome to come down and we will show you around the marina facilities on offer.